Cicada really is seeing red. He’s ready to step up his game plan and is once again stalking the metahumans of Central City. 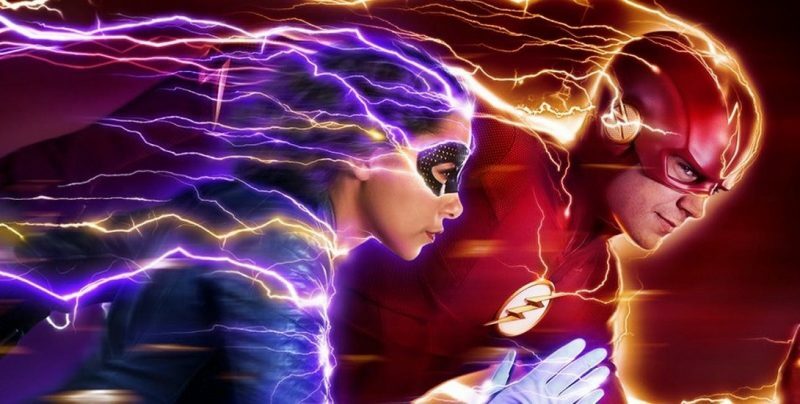 We have known for a while that the doctor taking care of his niece is his accomplice, but this week Team Flash learn that he also has allies in places we never imagined. As a huge Danielle Panabaker fan this episode was a treat for me. 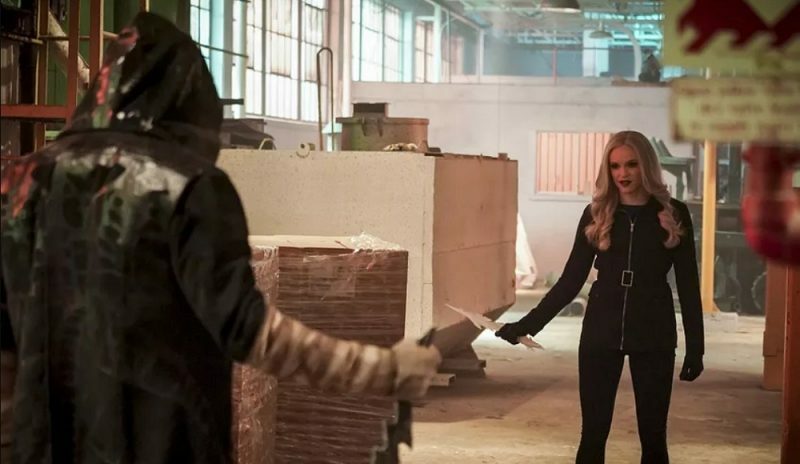 Killer Frost and Caitlin Snow’s relationship progresses even further this week, and Ms. Panabaker’s performances as both characters are phenomenal. We get to see both of Caitlin’s personalities shine, as intellects as well as bad-asses. Get ready for a terrific slug-fest between Flash, with Frost at his side, vs Cicada… it’s pretty damn cool! Everyone’s favourite stretchable sleuth returns to action in this episode. Yes, Hartley Sawyer’s back, and that’s always a plus. The beauty part of the story this week is that it contains superhero action aplenty, but also gives us some great detective moments, featuring Ralph and Sherloque. This dynamic duo of groovy gumshoes is impressive, as is the list of long forgotten DC Comics baddies. Being a massive comics nerd has its perks, so seeing Carl Bork put a huge grin on my face. This guy is an old DC mainstay and first appeared way back in The Brave And The Bold #81 (December 1968). In this issue he battled Batman and, you guessed it, The Flash. When the TV writers go back to the source material it greatly enhances my enjoyment of the show, as well as making my inner fan-boy very happy. Yeah, there’s a ton of action this week, and XS is in the thick of it. The junior speedster is really put through the wringer as she falls afoul of Cicada. As you can imagine this puts Barry on the warpath, placing our usually level-headed hero on shaky emotional ground. Seeing Flash lose his cool is jarring, but brilliantly handled by Grant and the writing team. Another excellent aspect of this episode is the way that we see Flash take on Cicada in hand to hand combat, but without his super speed. 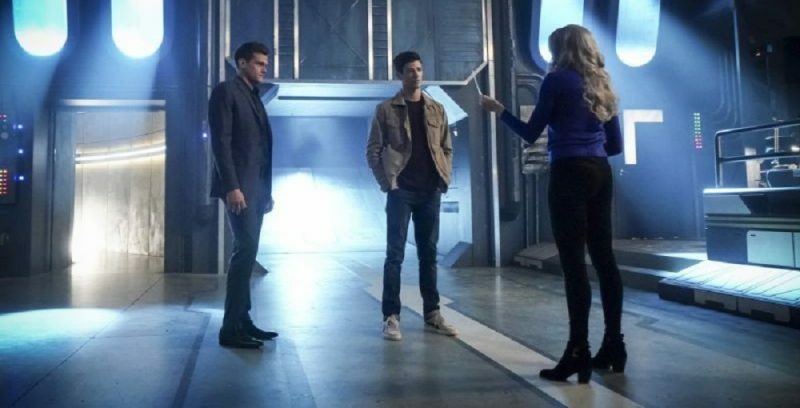 The fight scenes this week are great, and we see that maybe Barry learned more from being body-swapped with Oliver Queen for a few days than we’d guessed. The Flash has really grown as a character, and as a crime-fighter, over the past five years. Sherloque is closer than ever to deciphering Nora’s time-coded journal. This is probably the sub-plot that intrigues, and worries me the most. 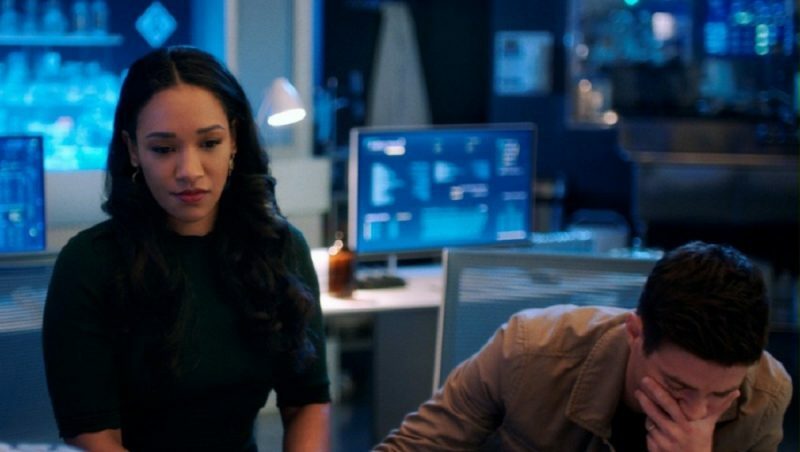 I have no doubt in my mind that XS is on the side of the angels, but how will her parents and team-mates react to the news that she has been trained and mentored by Eobard Thawne? This season has shown us that sometimes villains can change and are capable of good; this episode sees more than one snake shed their evil skin. So, can Thawne turn over a new leaf too? Is anyone truly beyond redemption, or are some people past saving? Last season of The Flash was probably my favourite since the show started, but this year something has been niggling at the back of my mind. 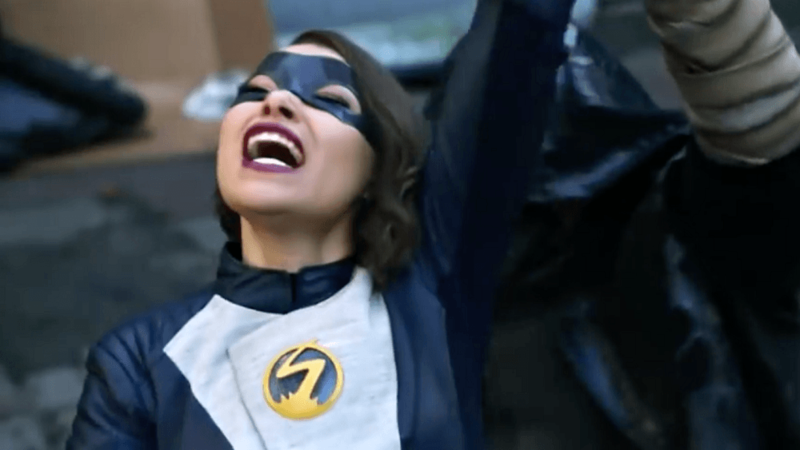 The writing and acting from the main cast has been great, and new addition Jessica Parker Kennedy has been a revelation. Something, though, has just felt… off. After the stellar crossover episodes and witnessing the mighty Tom Cavanagh once again flexing his villain muscles as Reverse Flash, my main problem with season five has finally focused with crystal clarity. My issue with this season is the villain. Now, before you all decide to throw eggs at me, because I’ve said numerous times that not having a speedster as the big bad is a good thing, let me clarify. Last year DeVoe was a breath of fresh air, and a cerebral opponent for the very physical Flash. This season we’ve been given a villain who is combating speed with raw power. Again, this is something I’m quite happy with. My issue is that Neil Sandilands portrayed a villain who could be sympathetic, scary, deranged and terrifying. Chris Klein’s Cicada is just angry, grimacing and – although his story should be one that draws empathy from viewers – all I’m getting is a two dimensional caricature of a villain. His monotone delivery and permanent scowl is just completely off-putting. His Cicada voice makes Christian Bale’s Batman growl sound like Mickey Mouse. While I’m enjoying Cicada as a physical threat, I cannot take Chris Klein’s performance, or Orlin Dwyer seriously. I honestly think that this was a bad casting choice. With that finally off my chest I can carry on with a clear conscience. The positives of this show far outweigh the negatives, and I’m still enjoying the stories, spectacle and performances from everyone else. While having a main villain that I’m finding more annoying than threatening is a minus, it’s one I’m going to have to live with. If Cicada fights more, talks less and appears more in costume than out of it, then I’ll be a lot happier. I always try to focus on the positives, and Flash as a character is one of the most positive of them all. This series is still one of my favorites, so I’m not going to let one piece of questionable casting wreck that. See you in seven, Flash fans. All content belongs to DCWorld 2019 Images belong to their respective owners. Website designed and build by DCWorld. Hosting provided by Smoke Digital.